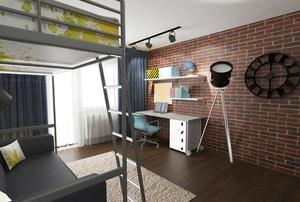 If no one is using the bottom bunk, why not clear the space up for a desk, couch, or storage area? 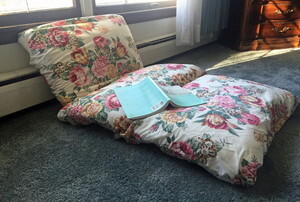 Sew a child's bed in 4 steps! 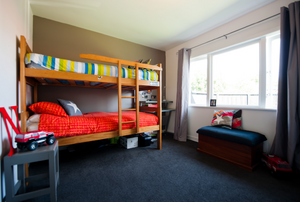 Depending on the type of bunkbed, it can be separated into two twin beds to suit different needs. Don't use the wrong wood when building a ladder. Whether your bunk beds didn't come with a ladder or it broke, you can use this guide to build a new one in 12 steps. 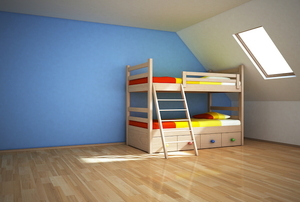 Bunk beds are ideal for creating that much needed extra sleeping space in your children’s rooms. 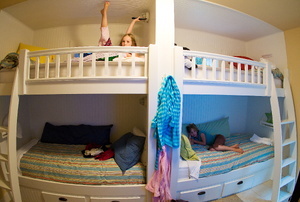 Traditionally, bunk beds have been small affairs, usually with twin size mattresses, not full bunk beds. Creating a jungle themed bunk bed can be very enjoyable and a great project to spark your imagination.